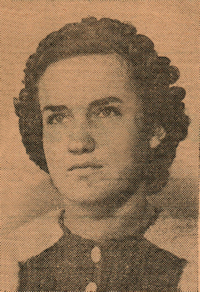 Obituary – Waye, Thelma Evelyn (Downey) « Perry High School Alumni Association, Inc.
﻿- 18 year-old daughter of John H. Downey, was born in Morrison. She attended Morrison high school, after attending grade school at White Hall, Liberty and Jefferson, and has spent her senior year at Perry high school. While attending the Morrison high school, she was a member of the honor society for three years; was a member of the glee club and band there and participated in several one-act plays. Her hobbies are collecting what-nots and collecting autographs. She plans to enter some college after graduation from high school. Thelma Evelyn Waye, 89, passed away on Nov. 30, 2012. Thelma was born on Apr. 5, 1923, in Morrison, the daughter of John and Osessa Downey. Thelma enjoyed traveling, spending time in her garden, drinking coffee, and spending time with her friends. Her first love was her family, especially her grandchildren. 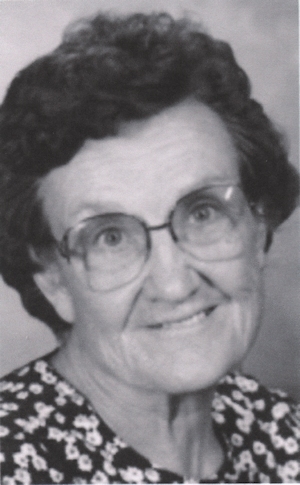 Thelma is survived by one daughter, Janice Thompson and husband, Raymond; one son, Ron Streeter and wife, Kathi; four grandchildren, Dustin Thompson, Matthew Streeter, Julie Fortenbery and Joe Thompson; four great-grandchildren; and four sisters, Goldie Brulja, Betty White, Zola Chesney, and Helen Bucklinger. She is preceded in death by her first husband, Joe Streeter; second husband, S.L. Jack Waye; parents; and two sisters, Nadine Downey and Dorothy Bryan. A funeral service will be held at 2 p.m., Thursday, Dec., 6, at Sunset Baptist Church, 915 Greenwood, Ponca City 74601. Interment will follow at the IOOF Cemetery. Services are under the direction of John M. Ireland Funeral Home and Chapel, Moore. Visitation will be Wednesday, Dec. 5, from 5-7 p.m. at John M. Ireland Funeral Home, 120 South Broadway, Moore. Visitation Thursday, Dec. 6, will be at the church from 12-2 p.m. in Ponca City.